There’s nothing worse than sleeping on the WRONG pillow. You know what I’m talking about—that pillow that’s too thick, too slim, too heavy, too light, too dense, not dense enough, or just too hot. A bad pillow can ruin your night’s sleep, which is why it’s so important to find the RIGHT pillow. By improving sleep quality, you improve your life! For those looking for an all-natural pillow designed for a wonderful night’s sleep, you definitely want a sobakawa buckwheat pillow. A what??? “Soba” is the Japanese word for buckwheat, a plant in the same family as rhubarb and sorrel. The seeds of the plant are harvested, hulled, and ground to make noodles and other flour-based foods. 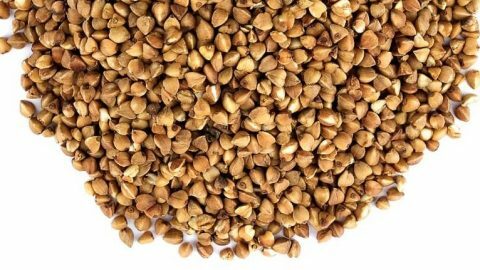 The “kawa” on the end of the word means “leather”, so “sobakawa” literally means “Buckwheat leather.” However, properly translated, it means the hulls of the buckwheat plant. sobakawa pillows are filled with buckwheat hulls, a material that offers A LOT of benefits. What is the Sobakawa Cloud Pillow? One thing to know: if you do a Google search for “sobakawa pillow”, you’re going to get hundreds of links leading to the Sobakawa Cloud Pillow. 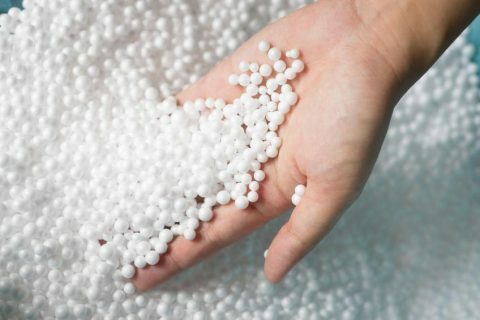 This pillow is NOT made with buckwheat hulls, but instead uses polystyrene microbeads as a filling. It is not the same as a natural buckwheat pillow; the Cloud Pillow has simply co-opted the name for marketing purposes. It is not durable. They lose supportiveness quickly. The microbead fill tends to shift, causing the pillow to lose its shape easily. 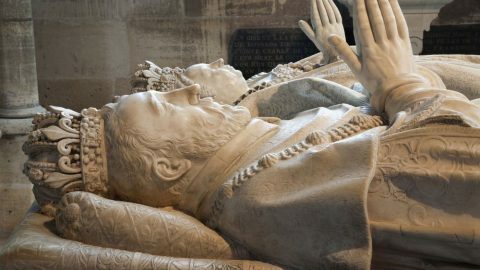 They initially release a foul-smelling gas (the smell tends to dissipate with time). The Cloud Pillow’s fill is made with microfiber, and the cover is a blend of polyester and spandex, two manmade fabrics. It’s definitely not a all-natural pillow, something that most true sobakawa pillows can claim. keep you cool at night thanks to the air flow between the hulls. offer terrific support for your neck and head. 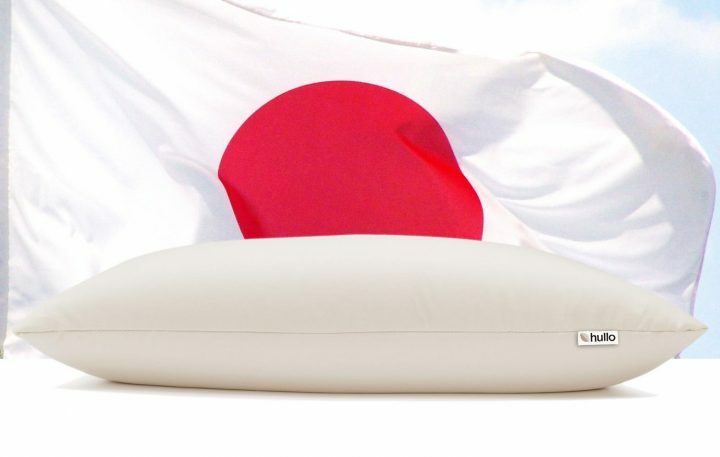 Compare any buckwheat pillow to the Cloud Pillow, and you’ll find that the real Sobakawa pillows win out every time! Buckwheat pillows are made with all-natural materials, including buckwheat hulls, organic cotton, etc. They’re made free of man-made fabrics, so you won’t have to worry about exposure to materials that can cause allergic reactions. 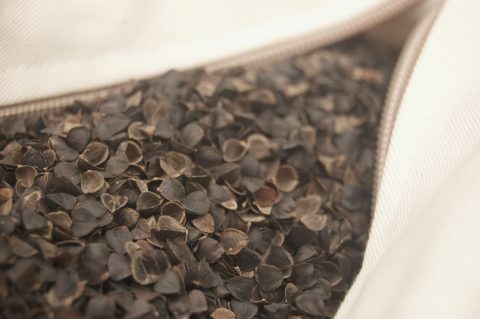 One great thing about Sobakawa pillows is that the buckwheat hulls used to fill the pillow are often locally-grown. American buckwheat is grown and harvested for the production of these pillows. By buying the buckwheat pillows, you not only support the local economy, but you do so by purchasing a fully renewable material. 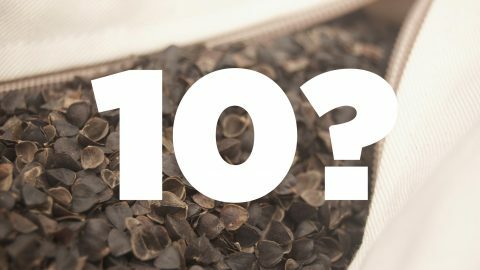 Buckwheat hulls in a pillow: don’t eat these! They offer excellent support — Did you know that many doctors and sleep physicians recommend buckwheat pillows? The buckwheat hulls used to stuff the pillows shift according to your position, making it easy for you to sleep with the proper support no matter what your position. They’re highly versatile — Whether you sleep on your side, back, or stomach, a sobakawa pillow offers versatile support. Plus, if the pillow has a zipper, you can add or remove the filling in order to make it as thick or thin as you want. You can find them in all shapes and sizes—from king size pillows to keyboard rests and sleep masks. They’ll keep you cool — If you sleep hot, this is the pillow for you! 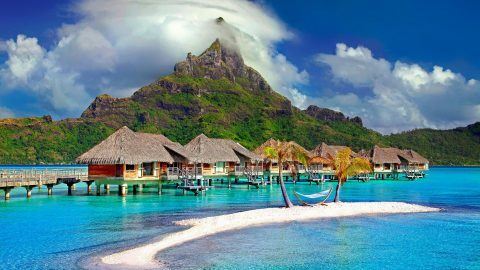 I tend to sleep very hot at night, and goose down pillows–while comfortable for the most part–leave me sweating all the time. With a buckwheat pillow, air passes through the hulls, cooling me down and making it easier to sleep. Talk about an interesting pillow! Buckwheat pillows are the natural option you’re looking for, and you’ll find that they’re highly supportive, supremely comfortable, and as eco-friendly as it gets. Our Hullo buckwheat pillow is made with 100% organic cotton, locally-sourced buckwheat, and top-notch American materials. If you’re interested in a better night’s sleep, it’s time to try buckwheat pillows! Don’t take my word for it—check out these customer reviews. From the 100% organic cotton twill case, to the carefully sourced and selected buckwheat hulls, we make our buckwheat pillows with the finest materials available.